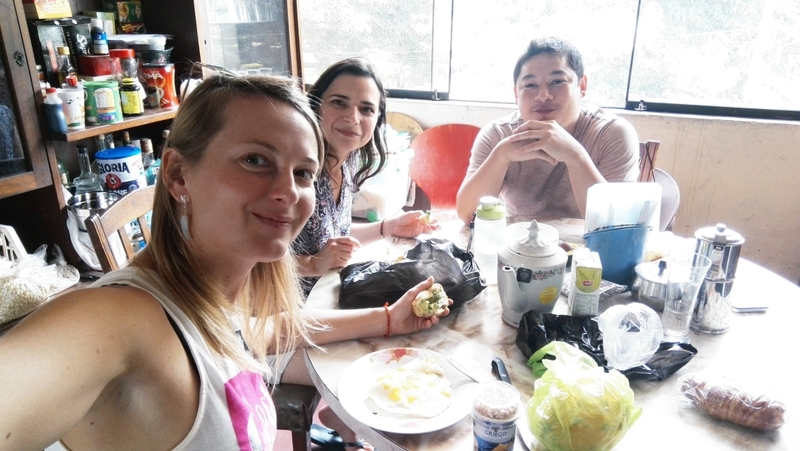 If you are still apprehensive even after what I have said here as a solo travelling blond, then please know that there are free walking tours in Lima which depart every day (except for Sunday) at 10:15 from the Tourist Information Centre located in Miraflores. If you opt for one of these, it is polite to pay a little contribution to the guide in the end – and it is worth the money if you are dying of fear imagining yourself exploring the city on your own. You could also go around Lima on one of Mirabus panoramic buses. Tours depart daily (day & night) from Parque Kennedy located in Miraflores. Even though Lima is big and chaotic, every district has its own identity and charm. So just choose what best suits you and go for it. 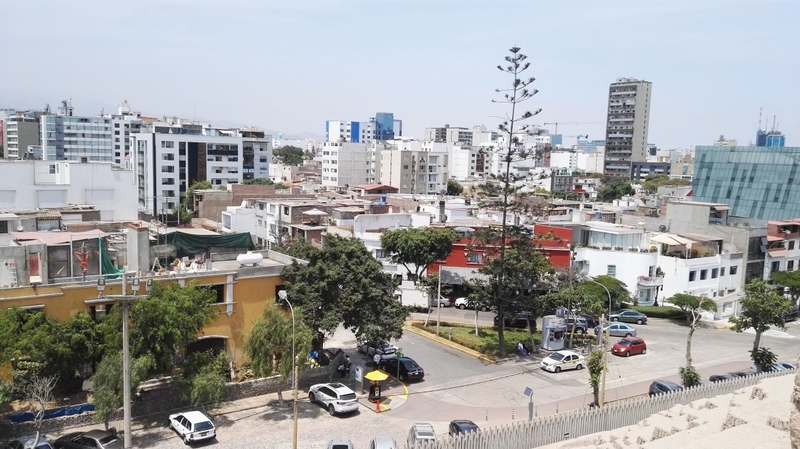 Miraflores is the only part of Lima that is agreed on as “safe” by basically anyone you ask (except perhaps for some tourists who roamed the streets drunk late at night with their posh attitude, designers´ clothes and expensive cameras around their necks). As for the historical downtown (Cercado de Lima and Rímac area) and artsy Barranco, opinions on safety differ. Generally, the locals would not advise you to stroll pass Mexico Street (or possibly even Canada Street). Yet, it is in the downtown where you find expensive hotels such as Sheraton and also some of the architectonic gems you might want to see, such as The Cathedral of Lima, The Archbishop´s Palace, Torre Tagle Palace, or the renowned balconies (there are about 1600 of them) that were built in the Viceroyalty era as well as in the Republic. In order to retain their conservation, the Municipality of Lima has invited individuals and companies to adopt a balcony to maintain it. 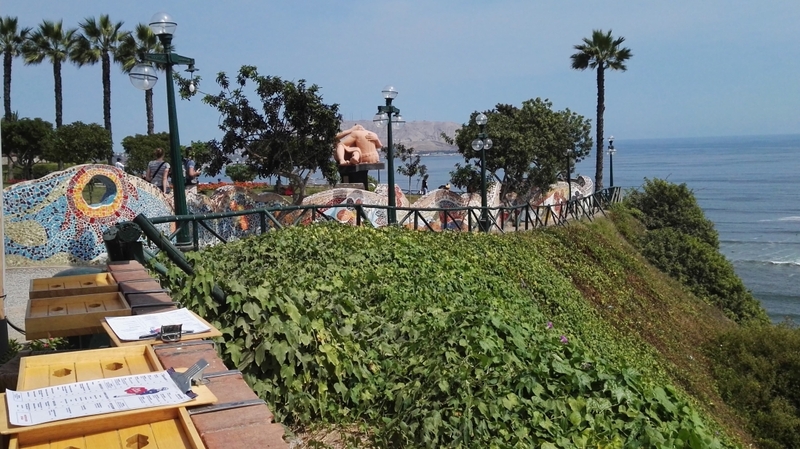 Anyone visiting Lima should definitely take a walk along the seaside promenade of Miraflores and Barranco. The upscale, stylish district of Miraflores also offers the Huaca Pucllana ruins, The Love Park, The Lighthouse, and paragliding. Yes! Walking along the promenade, you might end up seeing the city from above – for just 240 soles (with an instructor). The clay and adobe pyramid of Huaca Pucllana which presents an interesting contrast to the sleek, modern buildings which surround it. 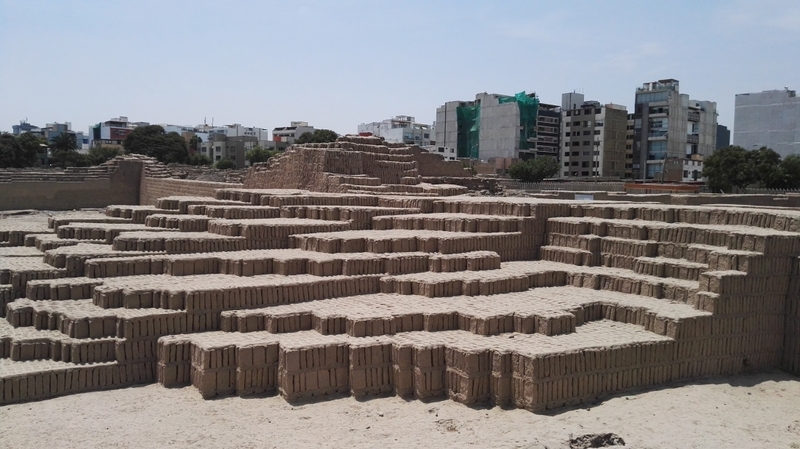 This site served as an important ceremonial centre for the Lima culture who lived in Peru’s coastal region between the years 200 and 700 AD. Tours (the price of these is included in the ticket price) are available until 10pm in both English and Spanish. 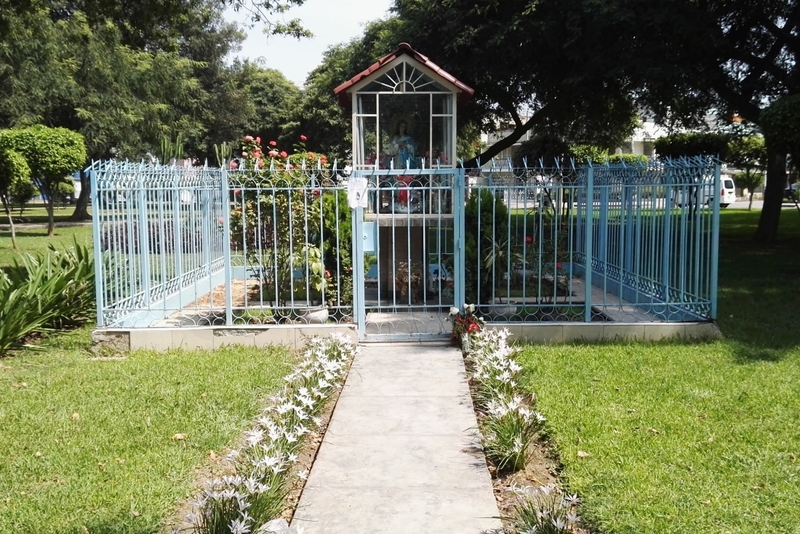 The Love Park – Parque del Amor – is located at the intersection with Malecon Balta. This small park running along the beach promenade (which is truly splendid, as it is situated atop the cliffs, so you get some marvellous views over the bay of Lima) is dedicated to all lovers and becomes packed at sunset. There is a strip of mosaic wall which might remind you of Gaudí Park in Barcelona and a famous statue called “El Beso” (The Kiss) by Victor Delfín. If you love shopping, make sure to stop at Larcomar shopping centre in Miraflores. This shopping centre is one the most popular attractions that travellers visit when they are in Lima. Built into the side of the cliff and mostly underground, this mall makes for quite the sight. It has incredible views of the Pacific Ocean and is perfect to spend an afternoon shopping for some great Peruvian Gifts and Souvenirs such as alpaca clothing. Barranco is filled with street art, colourful buildings, colonial mansion which were turned into cool cafés and boutique bars. Barranco has been home to some of Peru’s and Latin America’s finest artists. It has gained a reputation of the Bohemian or hipster part of Lima, and it is in Barranco where you find the Bridge of Sighs, which at night looks stunning, so even if you should get a taxi straight there and have it wait for you while you spend a few moments taking in the sight (again – for those who worry too much), do it! And by the way, it is here where you find the MATE museum that was founded by famous Peruvian fashion photographer Mario Testino. Located in a restored 19th century mansion, the museum exhibits the best of national and international contemporary art and photography. 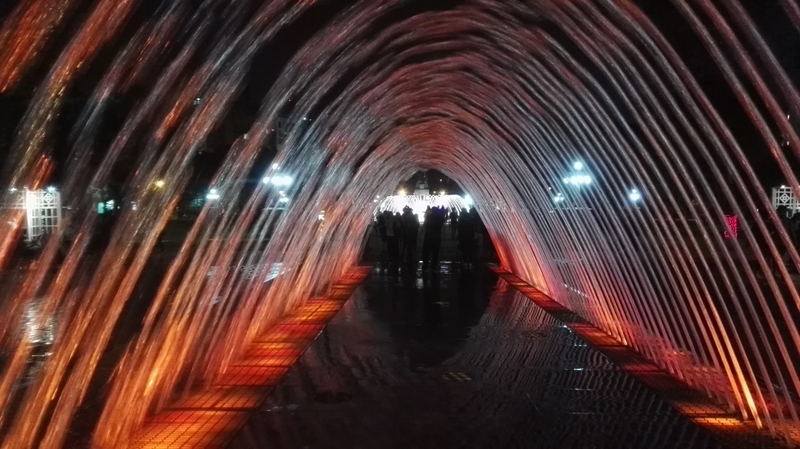 Once place you surely need to see at night-time is Circuito Magico del Agua (Water Fountain Park). 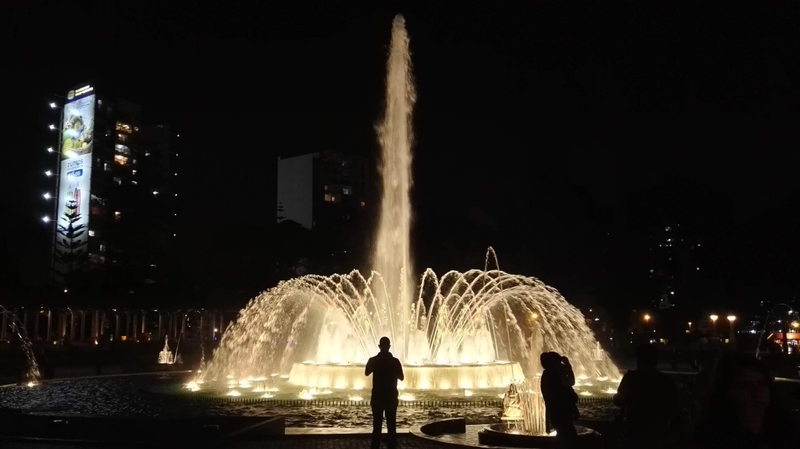 For just five soles you can enjoy the 19-acre (eight hectare) park with the series of 13 illuminated fountains and shows going on. Upon its construction in 2007, the Magic Water Circuit made it into the Guinness Book of World Records as the world’s largest water fountain complex in a public park. This shiny and fun place keep kids happy and bring quiet smiles to even the most cynical of adults – especially in the interactive water tunnel. And remember, if you get bored of Lima (how could you though? ), you might always take one of the day trips out of Lima with the local agents. Just check out the options with your nearest Tourist Information Centre.